New single right off the burner!.. Song I worked on w/ Madison's own super producer DJ Pain1, "Fresher" ft Young Dro, Tek of Smiff n Wesson. Honored to have been involved! Go Team! Listen, like n share. Like the sound? you know what to do.. Here it is! RemedyBornMuzik Archives Vol 1. 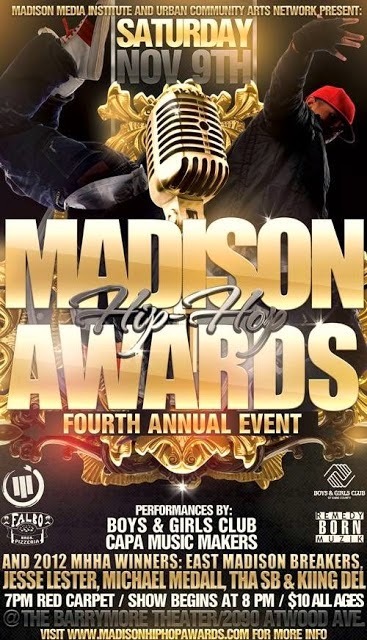 2013 Madison Hip Hop Awards (MHHAs). November 9th, 7pm. Be There for great music performances & community.. The new project.. big shout to Keon Luvmusicsite Hutson﻿ for blessin this track!. Download is available in the youtube info free!..